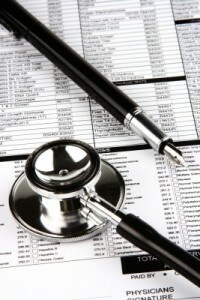 The federal governm ent is actively using data to identify providers who perform outlier billing. If your billing patterns reflect a pattern that is greatly outside of norms, you should be prepared to defend the deviation from the norm. Certainly not every practice pattern that falls outside of norm indicate nefarious wrongdoing. What is important is that your practice maintain awareness of and understand the reasons why billings may be picked up as falling outside of industry norms. You must be prepared to educate government officials as to the reasons for having outlier claims data. Primary care and pediatric practices will have very little opportunity to deviate from norms in most cases. Highly trained specialists such as neurological surgeons can easily have unusual practice patterns that translate into outlier data that could trigger further government inquiry into billings. Proactive audits performed as part of active compliance program will help the provider identify potential issues. If abnormal data is identified through this process, the provider can address the situation in a proactive manner before the government becomes involved. If there is an explanation for the anomalies, the provider can establish it in advance. This type of practice approach strengthens the case if the government later raises the issue. The provider should be fully prepared to explain the reasons for the apparent anomalies. In a small and highly specialized practice, data anomalies can easily result from numerous possible non-nefarious reasons. Because the government is actively using data analysis to identify fraud, the provider should assume that data that falls outside of norms will eventually be questioned. Preparation, readiness, and proactivity are the keys to resolving issues with government investigators. One message was loud and clear when OIG and DOJ lawyers spoke at the HCCA compliance institute. The government is increasingly looking at data to identify inherent billing patterns, referral patterns and other information that could be reflective of improper billings, kickbacks, or other violations. This information spotlights the need for providers to take a proactive approach in identify their own errors before the government brings these errors forward in a much less friendly manner. If errors or overpayments are identified, repayment should be made promptly. Repayments that are not made promptly are deemed to become false claims and expose the provider to much more severe penalties. If the circumstances warrant, it may also be necessary to consider using the OIG or CMS self disclosure process to investigate potential penalties. This entry was posted on Tuesday, April 1st, 2014 at 12:17 pm	and is filed under Billing and Coding, Health Law Practice, Self-Disclosure. You can follow any responses to this entry through the RSS 2.0 feed. Both comments and pings are currently closed.